Hakoah Sydney City East FC is gearing up for a big 2017 season with a clear target to play an exciting brand of football as well as cementing itself in the PlayStation4 NPL NSW Men’s Finals Series. With this in mind the recruitment process is well under way, and the club is excited to announce the signing of former Sydney FC and Young Socceroo Goalkeeper Anthony Bouzanis. Bouzanis was delighted upon reaching his terms and conditions with the club and couldn’t wait for the new season to kick off. “After meeting Hakoah Sydney City East FC head coach Gavin Rae, I knew it was the best club for me to play as many games as possible and provide me with the opportunity to make the step back up into the Hyundai A-League. First Grade Coach, Gavin “Guv” Rae was also happy in securing one of the best young keepers in Sydney. Protecting Anthony will be Hakoah Sydney City East FC central defender Brad Walker who re-signed with the club despite attracting offers from a number of suiters. After returning from a four-year stint in the US college system in 2013, Brad has been one of the best players in Hakoah Sydney City East FC’s climb up the divisions, and proved himself to be one of the most talented defenders in the PS4 NPL NSW Men’s competition in 2016. Brad’s father Barry is also a key figure in the club as the Junior Technical Director, and both Brad and Barry will be found attending every Hakoah Sydney City East FC match they can across the age groups. Hakoah Sydney City East FC President Michael Katz noted his excitement about the signing of Anthony Bouzanis. In the famous words of current Hip Hop DJ artist Dj Khaled, “Another one”, is the phrase Sydney United 58 FC vice-captain Nick Stavroulakis is going by as his squad prepare for battle in this Sunday’s epic PS4 NPL Finals Series Grand Final clash against Northern NSW’s Premiers and Champions Edgeworth FC Eagles. Sydney United 58, a club renowned for being steeped in rich history with a number of silverware to match its many players that have gone onto represent Australia on the world stage have big expectations as the club expects nothing but a victory as they host, for the third successive week, after defeating the likes of Adelaide City (5-4) and Brisbane Strikers (2-1) on route to the Final.  Mark Rudan’s men have stacked the trophy cabinet this year taking out the Waratah Cup as well as being crowned Premiers but the Reds are still reeling on their Grand Final loss to Blacktown City – however taking out their second ever PS4 NPL Finals Series title would certainly make amends. Stavroulakis in particular pointed out that being crowned the best NPL team in Australia was one of the club’s objectives from the get go but understands to get there, they need to defeat a hungry Eagles outfit ready to pounce on an upset. “It’s a huge game for us as players as well as for the club – reason being we all know what’s up for grabs and that’s a coveted spot in the round of 32 of the Westfield FFA Cup. “It’s a huge incentive to have going into the new season as you do miss at least four or five games by passing the preliminary qualifying stages giving the team more time to focus on the league. “We cannot hide the fact that we too want to be crowned the best NPL side in Australia and this is a great platform for us to achieve this. Damian Zane’s team have done it the hard way by playing their two NPL Finals Series matches away from home defeating Victorian giants Bentleigh Greens 3-1 and more recently securing a 1-0 win away to Perth SC. Stavroulakis paid tribute to the Eagles’ tough run but also stated that United 58 faced just as tough opposition. “What the Eagles have done to get into the Final was great – to win both their matches away from home against two decent clubs isn’t easy. “But we haven’t had it easy either. We took on two former NSL giants in the shape of Adelaide City coached by Damian Mori and you saw the result that day, 5-4. “The Strikers, also led by a good coach, pushed and tested us all the way with their shape and structure as well as promoting playing from the back – we were down 1-0 but fought hard to get back into the match and got through in the end. “I haven’t seen much of Edgeworth but I did catch their Westfield FFA Cup match on Fox Sports when they took on the Western Sydney Wanderers – they’re a team that can make it hard for the opposition to break down and have some quality in their roster with a few good young players as well as their striker Daniel McBreen who has knocked in a few goals this year and will pose as a major threat. “It’s not going to be easy I know they’ll be up for the challenge and will give it their all so we need to be at our best but we believe we are the best team in the NPL and need to show this on Sunday. McBreen’s inclusion into the squad for Sunday has come as a major boost for the Novacastrians and Stavroulakis stated that his presence will only better the match at Edensor Park. “In every game you play as a footballer you want to play the best opponents because you don’t want any excuses but for us we aren’t too focused on the opposition, but if we play to our strengths then I am confident we can beat anyone on the other side. Stavroulakis paid tribute to his teammates, in particular Panny Nikas who has been on fire in the PS4 NPL Finals Series having scored an incredible five goals in two matches after having a standout season with the Reds. “Panny has been unbelievable this year – I’ve been watching him playing in-front of me for nine years but his performances have not surprised me as that’s what he can bring to the team with his form which I have seen time and time again. He can change the game on its head whenever he likes and he puts bums on seats as he does things you don’t normally see in the NPL. The tenacious midfielder paid respect to a few other of United 58’s players as he stated will be focused for the big clash. “Glen Trifiro is another X factor for us as well as Chris Payne who is ‘Johnny on the Spot’ and does provide us with the goals as he has shown this year taking out the Golden Boot award. After tasting PS4 NPL Finals Series success in 2013 when Rudan’s team defeated South Hobart FC in Tasmania, Stavroulakis believes that winning it a second time round would be even sweeter. “The club is very ambitious, we set out our goals this year and we now have the opportunity to win three out of the four trophies on hand this season. “To knock off another trophy is something the club is really wanting, yes, United 58 have won this before and now because of the way it is with the rewards of winning the trophy as well as a spot in the Westfield FFA Cup round of 32, there’s a lot more at stake so getting a victory will mean much more. One things for certain, Northern NSW Premiers and Champions Edgeworth FC Eagles are coming to Sydney with one thing on their minds – lifting the 2016 PS4 NPL Finals Series Trophy. One player that will play a pivotal role in hopefully achieving this amazing feat is 21-year-old attacking midfield whiz Keanu Moore. The dazzling rising young star has been one of Damian Zane’s standout players for the 2016 season – a year that has seen the club lift the Premiership, Championship, defeat the Far North Queensland FC Heat in the Westfield FFA Cup Round of 32 only to be knocked out by the Western Sydney Wanderers in the Round of 16 while progressing to Sunday’s PS4 NPL Finals Series big dance winning two very tough away matches to the Bentleigh Greens and Perth SC. A marked man no doubt with Sydney United 58 set to stamp its authority on shutting out the Eagles’ promising young gun, Moore was looking forward to the Edensor Park experience. “It’s probably right up there as the biggest game in the club’s history. “The club is really looking forward to what will be a massive game against a good side. “We are proud of how far we have come in this tournament but the club has high hopes of taking this out so hopefully we can get the job done. Away victories to Victorian guns Bentleigh Greens 3-1 as well as their recent triumph in Western Australia downing Perth SC 1-0, travelling and playing away was no issue for Moore. “To be honest I would prefer to play away because when you are travelling it feels like you are a full-time professional and that’s something I want to do moving forward become a professional footballer. The Eagles will be utilising Football NSW’s Valentine Sports Park accommodation as its official base on Saturday when the entire squad and coaching staff make the trip from the Hunter region in preparation for the big match on Sunday. Their opponents will by no means be easy beats and the PS4 NPL NSW Men’s Premiers and Waratah Cup Champions have shown during the PS4 NPL Finals Series matches that they really mean business. Moore knows that they’ll be in for a dog fight come Sunday in Sydney’s West. “We played them in a pre-season friendly earlier this year but I know a lot has changed since then from both sides with new faces and what not. Asked whether the club will keep a special eye out on Sydney United 58’s red hot attacker in Panny Nikas, Moore replied. “I have seen some footage of his goals during this tournament and he is in really good form. One such player that Moore is happy will be playing in the big finale is ace marksman Daniel McBreen. The former Central Coast Mariners attacker has been the heart and soul of the club and has been the name that has knocked in a plethora of goals for the rampaging Eagles – however, a planned family trip on Sunday abroad left Edgeworth’s number one star in limbo although the club has offered to fly the star back in time for the match. “It’s great to know he is playing on Sunday. Apart from McBreen, the club will look towards captain Josh Evans as well as promising youngsters Dylan Holz, Aden Gardner and current PS4 Player Pathway Camp trialists Brody Taylor, Ayden Brice, and Lachlan Pasquale as key men for the visitors. The former Tamworth FC junior spoke highly of his head coach who will complete his second full year at the club having won a fair bit of local silverware since being appointed. “Zaney is a very good coach, he knows what he is doing and the players have put a lot of trust in him as he has put a lot of trust in us so it’s been a good balance. “When he initially took over the club at the start of last season he rung me and said that he wanted to give me a chance as well as giving all the young boys a shot because he didn’t think we had been given our chances yet. The tag of being the best NPL team in the country is something Moore and his troops are hoping to achieve on Sunday as well as grabbing a spot in next year’s Westfield FFA Cup Round of 32. “Considering that ourselves and Sydney United 58 are currently the best two teams in the country, the winner will grab the glory of being the best NPL side in Australia and that is something we really want. “A victory would definitely put Northern NSW football on the map too because every game we’ve been underdogs against the Greens and also Perth so coming into Sunday’s match we will once again be the underdogs. The Eagles fans will be coming down in numbers as Moore stated to Football NSW that they’ve had some amazing support throughout the course of the season especially on away trips. “I’m pretty sure there will be a few buses coming down from Newcastle to support the boys so we can’t wait for that. “Everywhere we’ve played this year we’ve had great support. Blacktown City FC stalwart Travis Major has bid farewell to Sydney after securing a professional contract with the Hong Kong Pegasus FC. The 26-year-old who spent the majority of his football career with Blacktown City before moving to the Hyundai A-League in 2015 playing with the Central Coast Mariners, attracted interest from the Hong Kong Premier League based club and wasted no time in landing Major. Playing in a number of positional roles for Mark Crittenden’s side whether it were in defence, midfield or up-front, Major’s never say die attitude and workman like attributes will certainly assist in Hong Kong Pegasus FC’s push for a Championship. Major played an integral role in Blacktown City’s golden years, especially the last two where he has won the PS4 NPL NSW Men’s Championship and PS4 NPL Finals Series title as well as playing in the Westfield FFA Cup. Major will begin his professional career with his new club effective immediately. Rydalmere Lions SC are the 2016 PlayStation®4 National Premier Leagues 3 NSW Men’s Champions, defeating Hills Brumbies 4-1 in the Grand Final at Valentine Sports Park No.2 on Sunday afternoon. After having the better of play during an entertaining first half, Rydalmere eventually edged themselves in front via a Zac Elrich goal on the stroke of half time, before the league’s top marksman, Peter Cejkaa, restored parity for Hills just after the hour mark. Amaury Gauthier put Rydalmere back in front shortly afterwards, before two more goals in injury time – one from substitute, Yoel Silvestre, and Gauthier again, with his second – completed the scoring in the season decider. Hills Brumbies were without the Giovenali brothers for this match, both on Futsalroo duty, whilst Rydalmere were missing both co-captains – the suspended Shane Webb, whilst Lloyd Owusu was not 100% recovered from his Preliminary Final hip-flexor injury, but did take up a position on the substitutes’ bench. Hills Brumbies had swept all before them prior to the Grand Final, winning the Premiership, as well as gaining promotion via their first place in the Club Championship. Hills had also managed to defeat their Grand Final match day opponents on all three previous occasions that they had met in 2016 – 6-3 and 4-3 in the competition proper, and 1-0 in a Grand Final qualifier a fortnight earlier. But there is little more dangerous than a wounded lion, and Rydalmere’s intent was evident right from the outset. The Lions came at Hills from the opening whistle, and were keen to score an early goal and take control of proceedings. Ryunosuke Hayashi tested Hills’ young keeper, Joshua Stancic, in the 5th minute with a sharp angled shot that Stancic did well to divert for a corner. Then it was the turn of Rydalmere’s Zac Elrich, who raced away in the 13th minute before sending a pinpoint cross towards the back stick. Seijei Tarutani met the cross with a diving header, only for the ball to hit the side netting. The rain fell intermittently throughout the first period, and that made for slips and falls, as well as some intense tackling. Hills Brumbies have been dangerous all season on the counter attack, and as much as Rydalmere were dominating most of the possession, you could sense that Hills were always capable of snatching a goal in the blink of an eye. One such counter on 21 minutes saw Brumbies’ Dongyong Heo fly down the right wing before producing a lofted cross near the penalty spot. Sean Mitchell met the ball with a powerful header, only to see his effort take a touch off a Lions’ defender on the way to a corner. Zac Elrich replied for Rydalmere in the 29th minute, letting fly with a low shot from 25 yards that skidded off the surface, with Hills’ Josh Stancic diving full stretch to tip the ball around his upright. Hills Brumbies then had two good chances to take the lead just before half time. Jordan Parfait should’ve done better on the half hour mark given his capability, skying a shot from inside the box after meeting another great cross by Dongyong Heo. Sean Mitchell then produced an exquisite effort in the 34th minute, making space for himself outside the box before curling a shot inches wide of the far post. Just as the fans were preparing to settle down to enjoy the half time break, Rydalmere struck a killer blow in the 45th minute. Hills turned over possession near the left flank, and Rydalmere pounced, with three attackers racing clear of the Hills backline, which had crept forward towards the centre circle. Hayashi kept his composure as he entered the penalty area, squaring the ball for Zac Elrich to tap in to an empty net to give Rydalmere a 1-0 lead. The midfield battle had been especially intense in the first half, with Simon Zahra and Seijei Tarutani doing well as they challenged Daine Merrin and Glen Kelshaw for dominance. When the players returned from oranges, Rydalmere picked up where they left off in the first half, with Amaury Gauthier curling a shot just over the bar on 48 minutes, whilst Hayashi volleyed wide in the 52nd minute following a pinpoint cross by Farres Aoun. Zac Elrich almost produced a goal to remember in the 58th minute, weaving his way past two defenders across the face of the penalty area before unleashing a drive that was headed for the inside side-netting at the far post. Hills keeper, Stancic, dived to his right to superbly parry the effort. Then seemingly against the run of play, Hills conjured up a well-executed equaliser in the 63rd minute. Marcus Zarantonello and Dongyong Heo exchanged some short passes near the halfway touchline, before Heo clipped a lofted through ball in to the path of Glen Kelshaw, who had snuck in behind the Rydalmere defence. Instead of letting the ball run in to his path towards goal, Kelshaw had the presence of mind to nod the ball square in to the path of team mate, Peter Cejkaa. Cejkaa took it in his stride as he entered the box, calmly striking it past Rydalmere’s keeper, Harrick Sinprasueth, to send the Brumbies contingent in to a frenzy. The crowd sensed that Hills may then throw caution to the wind and come home strong, but Rydalmere were not to be denied, and went back in front with a goal from Gauthier on 73 minutes. An innocuous ball skewed off a Rydalmere player high in to the sky inside the Hills penalty area. Amaury Gauthier challenged Hills keeper, Josh Stancic, and amidst cries of foul from the Brumbies contingent, play was allowed to continue, with Gauthier stabbing home from a few yards to give Rydalmere a 2-1 lead. Kelshaw replied within three minutes for Hills, racing in to space to meet a delightful through ball, but his angled volley under pressure was superbly diverted by Rydalmere’s keeper, Sinpraseuth, who had raced out near the corner of his penalty area to close the angle. Hills cleared the bench and made all three substitutions with less than ten minutes remaining, pushing men forward in desperate need of an equaliser. All that resulted towards the end of the ninety minutes was plenty of space in the attacking third for the Rydalmere players, who countered to great effect in the closing stages. Amaury Gauthier smacked a shot from edge of the box in the 86th minute that Hills keeper, Stancic, could only parry. Rydalmere substitute, Lloyd Owusu, scuffed the rebound with the goal at his mercy. Gauthier was put in to space right on 90 minutes, electing to shoot rather than square to the unmarked Owusu, the ball trickling agonisingly wide of the upright. Rydalmere eventually made it 3-1 in the second minute of injury time, and ironically, it came off the back of a Hills corner, where the Brumbies had pushed most men forward in search of a late equaliser. The clearance fell to Amaury Gauthier, who raced away in to the clear from the half way line, this time electing to square the ball to Rydalmere substitute, Yoel Silvestre, who tapped in to an empty net before being smothered by his team mates. 3-1 became 4-1 in the fifth minute of injury time, with Gauthier doing it all himself, snatching the ball off the last man in Hills’ defence, before racing away to slot past the advancing Hills keeper Josh Stancic, sending the Rydalmere fans into a frenzy. Referee Tim Danaskos, brought an end to proceedings shortly afterwards, with Rydalmere crowned Champions amidst a pitch invasion from the jubilant Rydalmere contingent. Hills Brumbies have plenty to be proud about after a very successful 2016 season, as they bid farewell to the PS4 NPL NSW Men’s 3 on the back of their promotion to the PS4 NPL NSW Men’s 2. Try as they did, unfortunately for them, Hills could not stem the Rydalmere challenge on the day, and eventually succumbed to a couple of killer goals as they went in search of a late equaliser. Glen Kelshaw showed intensity and neat touches in a solid midfield display, Jordan Parfait weaved his wing play throughout the encounter in a valiant effort to open up the Lions defence, whilst skipper, Tom Brandon, was tough and uncompromising in a captain’s knock in defence. Congratulations and applause must go to coach, Tony Basha, and the entire Rydalmere club, from support staff to the players who effected this Grand Final triumph. Rydalmere Lions were enthusiastic and determined from the outset, and even though at times the game didn’t seem to be panning out like they had wanted, they stayed focussed and applied themselves to the task at hand, resulting in being crowned Champions of 2016. HILLS BRUMBIES: 20.J.Stancic, 5.T.Brandon(capt), 18.P.Cejkaa, 58.D.Heo (10.D.Morsillo 80’), 17.B.Hoyer, 19.G.Kelshaw, 11.D.Merrin, 9.S.Mitchell (37.N.Dimitriadis 83’), 53.J.Parfait, 6.B.Robertson (2.P.Down 83’), 56.M.Zarantonello. Substitutes Not Used –1.K.Wallace, 4.R.Faulkner. Yellow Cards – 6.B.Robertson 45’ +2’, 19.G.Kelshaw 52’, 11.D.Merrin 80’. RYDALMERE LIONS: 1.H.Sinpraseuth, 23.F.Aoun (3.K.Allybokus 90’ +1’), 21.L.Dorretto, 8.Z.Elrich (9.L.Owusu 77’), 24.A.Gauthier, 11.R.Hayashi (17.Y.Silvestre 81’), 2.D.Kim, 15.M.Mayora (capt), 6.Y.Samba, 16.S.Tarutani, 8.S.Zahra. Substitutes Not Used – 36.A.Safdari, 37.M.Safdari. Yellow Cards – 21.L.Dorretto 41’.